Dr. Sadad I. Al-Husseini owner and founder of Husseini Energy Co.
Dr. Sadad Al Husseini is the Founder and President of Husseini Energy Company. He is the director of research and primary advisor to our clients. Our extensive proprietary oil field production and oil reservoir databases, as well as our upstream projects files, have all been compiled under his personal direction. Sadad’s career started in Aramco where he became Senior Vice President for Exploration and Producing starting in 1986 and later Executive VP for Upstream Operations from 1996 until his retirement in 2004. He is credited with the modern re-development of many of Saudi Aramco’s vast oil fields, the discovery and development of its Paleozoic oil and gas fields, and the establishment of its leading- edge Exploration and Petroleum Engineering Center in Dhahran. He was the special representative of the Kingdom of Saudi Arabia in its natural gas initiative negotiations from 2000 to 2003. 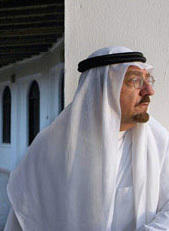 Dr Al Husseini served on Aramco’s Board of Directors from 1996 to 2004 as well as on the Board of the Saudi Electricity Company from 1999 to 2003. Sadad obtained his BSc in geology from the American University of Beirut and an MSc and PhD in Earth Sciences from Brown University Rhode Island. He was elected distinguished and honorary member of the American Institute of Metallurgical Engineers and the Society of Petroleum Engineers. He is also a distinguished Graduate School alumni of Brown University. He is currently a member of the EIG Advisory Board and Senior Energy Advisor at the King Faisal Foundation. Sadad is a recipient of the King Abdul Aziz Medal of Honour in the First Degree. Faiza Al Husseini is co-founder and Vice President of Husseini Energy. As lead geopolitical analyst in the firm, she is an expert in the Arabian Gulf region, and brings a decade of experience in economic and geopolitical analysis. 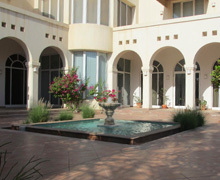 Faiza manages all senior client relationships, business development strategies, and the firm’s investment activities in Europe and the Arabian Gulf. Prior to Husseini Energy, Faiza worked at Morgan Stanley Private Wealth Management in Chicago as an analyst in 2004, and in 2007 she became assistant portfolio manager to a high net worth team with over $1.2 billion under management. She left Morgan Stanley in 2009 to join Dr Sadad Al Husseini, her father, in forming Husseini Energy Company. Faiza obtained her undergraduate degree from Loyola University of Chicago in 2003, and her MBA with a focus in Finance and International Relations from Loyola University of Chicago. Dr. Moujahed I. Al-Husseini joined Husseini Energy in 2017 as Specialist Advisor. Moujahed’s career began at Aramco’s Geophysical Research Division, where he pioneered several break-through techniques for acquiring and processing seismic data. As Manager of Area Exploration in 1989, he oversaw the discovery of eight Paleozoic petroleum fields in Central and Northern Saudi Arabia. In 1990 he devised and managed the exploration program for the Red Sea coastal area that resulted in several discoveries. In 1992 Moujahed left Aramco and founded Gulf PetroLink in Bahrain, a consultancy aimed at promoting technology in the Middle East petroleum industry. 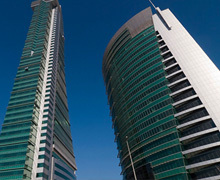 In1996, GulfPetroLink, launched the journal of Middle East Petroleum Geosciences, GeoArabia. Moujahed was the Publisher and Editor-in-Chief until 2015. Moujahed completed his undergraduate degree at King Fahd University of Petroleum and Minerals. He completed the MSc program in Operations Research at Stanford University, California, and he completed his PhD in Earth Sciences at Brown University, Rhode Island.